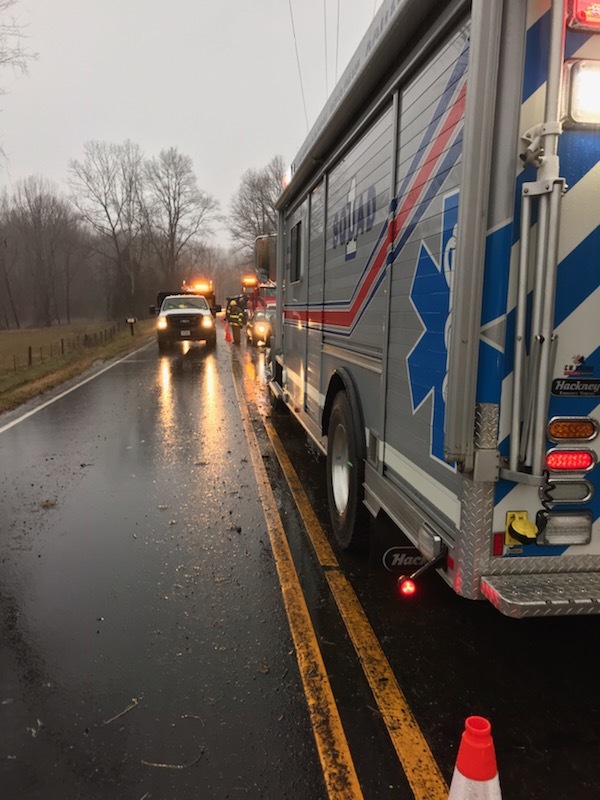 Wintergreen Fire Department and Wintergreen Rescue Squad were dispatched for a MVC involving a tractor trailer hauling turkeys. It was reported that as tractor trailer on its side with unknown injury and possible entrapment. When crews arrived on scene they found a tractor trailer on its side. Several turkeys were entrapped, but later extricated. The driver was out of the vehicle and did not have injuries. Units were on scene for extended period of time for traffic control while the tractor trailer was being recovered and turkeys retrieved.